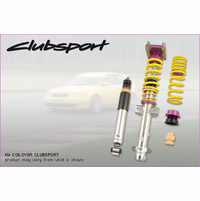 The KW Clubsport coilovers combine KW's high-end racing technology with maintenance-free KW OEM components and T�V certificate. This will provide you the ideal product to take full potential of your sports car during track days, sports car driving clinics, enthusiast drives on Grand Prix circuits and on tracks such as the N�rburgring Nordschleife. 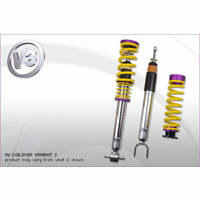 The KW Clubsport coilovers provide the ability to adjust for different track surfaces, sharp turns and abrupt elevation changes. The KW Clubsport is in its home environment on the famous twists and turns of the 20.8 km long N�rburgring Nordschleife circuit. 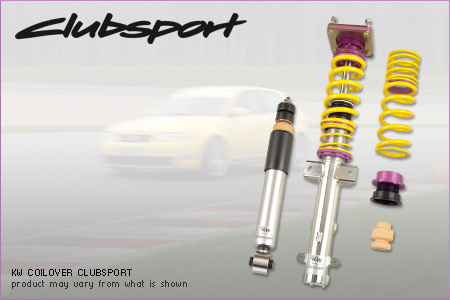 As a supporting suspension manufacturer to numerous different racing series. KW had claimed 6 ADAC Zurich 24-hour victories within 10 years at the famous N�rburgring circuit and the ADAC GT Masters 2011 Championship. More then 70 race teams are equipped with KW coilover systems in the VLN Endurance Championship series. These race teams rely on KW's racing expertise and experience for their vehicle setup. 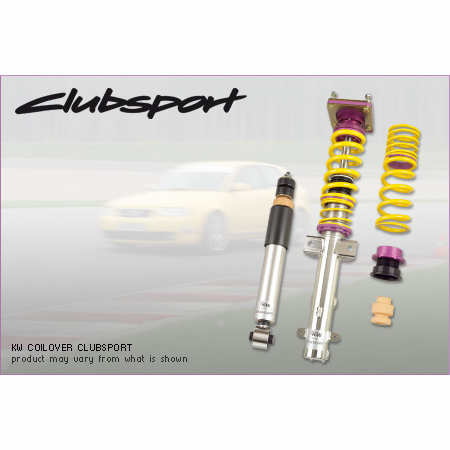 This information is mirrored in the development of the KW Clubsport coilover systems.